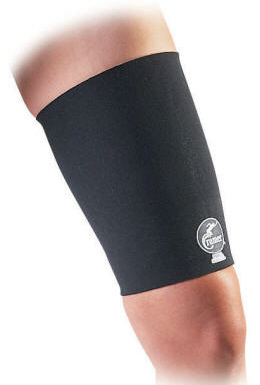 This Neoprene Thigh Support provides compression, heat retention and support for the quadriceps and hamstrings. Black color. Reversible.